Writing, like life, is about overcoming emptiness. What is more terrifying than the white space of a blank page, more frustrating than that slow click of a cursor ticking away like a clock? And yet it is this same blank page that can become a space for infinite combinations of words and letters and sounds. Without emptiness there is no room for creation. 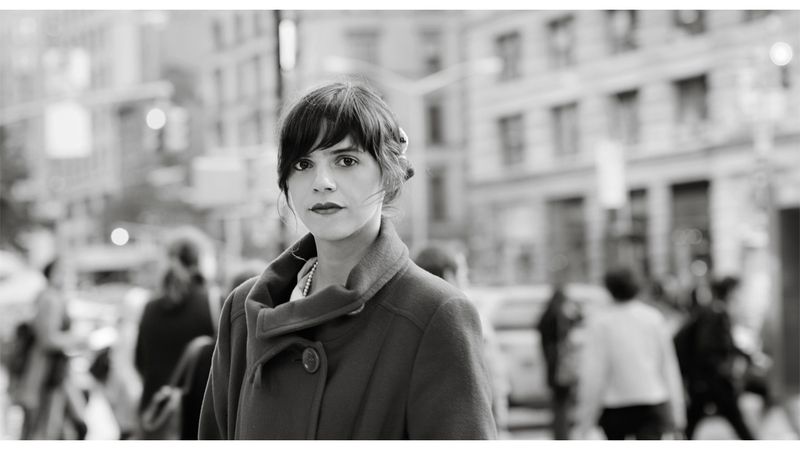 The essays in Valeria Luiselli’s collection Sidewalks, recently translated into English for the first time, exist in a place that moves just a little slower, a glimpse of the world through the eyes of a poet. 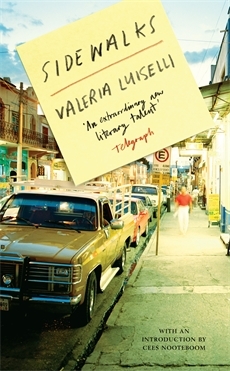 Luiselli has the remarkable ability to make connections, such as comparing her search for the writer Joseph Brodsky’s grave in Venice to the thrill of anticipation when arranging to meet a stranger in a hotel lobby, seem not only natural, but obvious. They are juxtapositions that in less deft hands would seem forced or contrived. Her essays are meditations and obsessions on empty spaces, new apartments and collapsing buildings, and most importantly the ways in which we interpret these places. What does emptiness mean to a city? In cities there is always a desire to fill in the blanks, and yet this expansion can act as a means of destruction—where is the mystery in a skyscraper, the magic in a parking garage? In the essay “Relingos: The Cartography of Empty Spaces” Luiselli reflects on the phenomena of “tiny absences, small plazas, where once there were things that are now only gaps.” These spaces, dubbed “relingos,” are the result of quick demolitions and even quicker constructions in the author’s hometown of Mexico City. It is obvious that Luiselli feels a deep affinity for these blank places, especially in the chaotic environment of a major city, and she is able to thread the act of creating art with this emptiness: “Writing: drilling walls, breaking windows, blowing up buildings. Deep excavations to find—to find what? To find nothing. A writer is a person who distributes silences and empty spaces.” We are all looking for answers. It is an unavoidable human condition. Art is the pursuit of these answers, deep excavations as a means of understanding. In this sense to find nothing would seem a failure, and yet as Luiselli implies there is still something in this emptiness—an act of imagination, an expanse for creation. The writing itself becoming a space filled with purpose and possibility, the way purpose and possibility are like busting out a window, tearing down a building. In her essay “Stuttering Cities” Luiselli meditates on the link between the limitations of language and the deterioration of a city: “We are in the process of losing something. We go around leaving bits of dead skin on the sidewalk, dropping dead words into a conversation. Cities, like our bodies, like language, are destruction under construction.” There is something in this idea of destruction as an act of construction that gets at the heart of Luiselli’s world, a world we all occupy, a world in which we are all fighting the inevitable time and wear and decay. If that sounds depressing then perhaps Luiselli’s true gift is that these essays still manage to be filled with a sense of hope. But then perhaps hope is not the right word here. Maybe it is more an ability to find the beauty in destruction, acceptance in the face of crumbling cities and inadequate words.